Al Capone was Public Enemy #1. He even made the cover of TIME Magazine. He was also a family man in more ways than one. Throughout the book, Capone tries to reconcile what she knows about her family with recorded history. Early in the book she writes, “I will not pretend to be able to paint a rosy picture of my uncle Al. I cannot make him out to be a perfect man, or even a good man. But what I want people to know is that he was a complex man. He was human and he had a heart.” Capone succeeds, balancing both the public history of Al, from the Valentine’s Day Massacre to his incarceration at Alcatraz, with personal photos, family recipes, and her own memories. 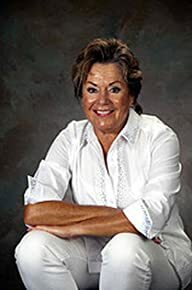 Deirdre Marie Capone is the grandniece Al Capone and the last living member of that family born with the last name “Capone.” Growing up in Chicago as a member of the Capone family was uniquely difficult. And as soon as she could, she fled Chicago – and her name – and found her own success away from the shadow cast by the legacy of her famous uncle. Now, in her first book, she shares for the first time the intimate details of life within the Capone family. Next PostThe Susan Murphy Milano Show, Time’s Up: Sheena Morris was Murdered, Where is the Justice?